Luis Miguel Amaya Presents: FIFA! Luis Miguel Amaya presented today as part of EC Montreal’s Student Academic Lecture Series. Luis is from Colombia participating in EC Montreal’s Bilingual Academic Year Programme. He has been studying with us since November 2016 and is already placed in our Pre-Advanced level. 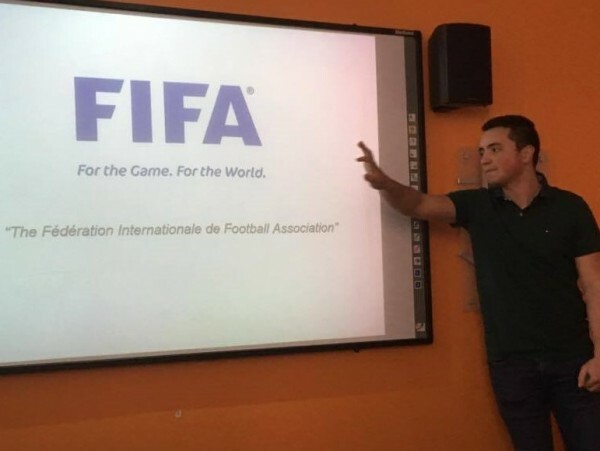 Luis presented to the school today and the topic he chose was FIFA. He spoke about FIFA’s history, its motto and all its scandals. He explained that FIFA is supposed to be a non-profit organization yet in one year it generated billions of dollars in revenue. He also went on to talk about FIFA’s recent scandals regarding votes, bribery and corruption. 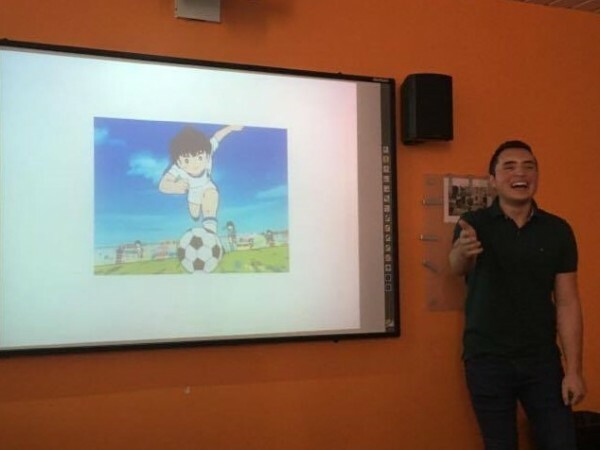 His presentation included the controversial World Cup in Brazil in 2014 where Brazil’s residents protested that the government should be spending money on health care, education and feeding the poor. He also talked about the concerns in having Qatar host the 2022 World Cup. The brutally hot weather and the poor working conditions and safety equipment for its employees building the stadiums has already caused an average of 1 death per day. They estimate that by the time they are ready to host the 2022 World Cup, there will be approximately 4000 deaths. Luis did a stellar job in presenting and answered the audience’s questions beautifully! We are so proud of his achievements!